Did you ever have a project that seemed like it would go on forever? Maybe a very long warp, or a slow and delicate weave? I have! (THIS one took forever to weave.) One way or another, though, they all come to an end. Rag rugs are fun to weave because it doesn’t take long to see the finish line, another accomplishment. Time marks the beginning and end of all our activities. Maybe this year seemed longer than it should, with too many troubles. Trouble makes time feel slow. Maybe you didn’t get enough done. Busyness makes time seem fast. As this year ends, time keeps ticking and we will usher in a new year, ready or not. What would a world be like without time? Several rows of scrap fabric, woven after the striped end hem, will hold the rug wefts in place after the rug is cut from the loom. We understand that during this life we are subject to the limits of time. Is that all there is? One season after another? Is there a place where time has no say? “Under heaven,” as Solomon described, time is all we know. Yet don’t you sense, like I do, that there is more? That must be because our creator has designed us with eternity in our hearts. The wonderful mystery is that we touch eternity when we become his, while we are still in this time-bound universe! May you enjoy a fruitful new year, finding time for the most important things. I’m really looking forward to seeing this rug!. It’s a beauty! Glad you like it! 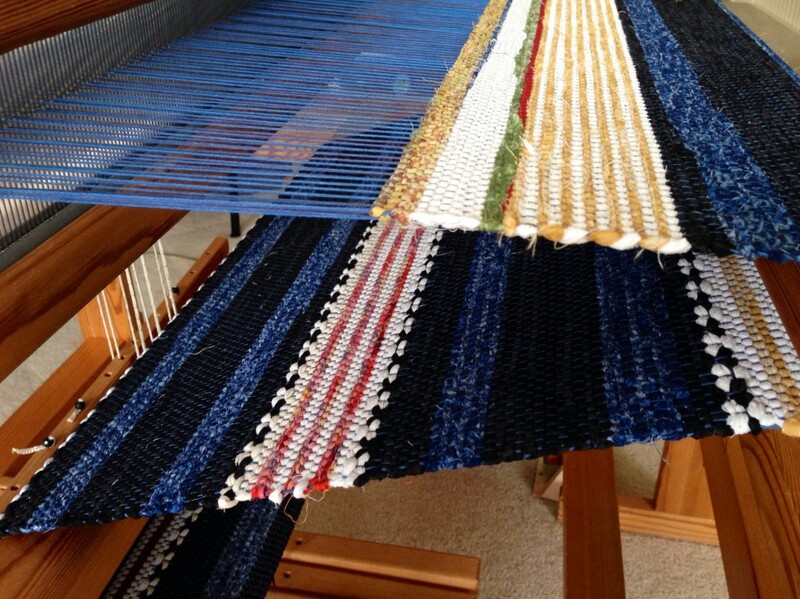 I have two more rugs to weave on this warp before we’ll see it all the way. It’s always a bit of a fun surprise to lay the rugs out when they’re finally cut off the loom. Thanks for taking time to comment, Laurie! My daughter is wanting me to make some rugs for her on my 32″ Kromski Harp rigid heddle loom. I’m not sure if I’d be able to do that on that type of loom but I’ll do some research if I can, I’ll make some. If not, I’ll wait until I rent the baby Wolf 8 shaft from my local guild. Opal, thank you for the compliment! You can do a rag weave on your Kromski Harp. I did it on my 32″ Beka rigid heddle loom. You’ll probably find, though, that it’s not really sturdy enough to use for a rug. Generally, rugs require a very tight tension, tighter than you can achieve with a rigid heddle loom. 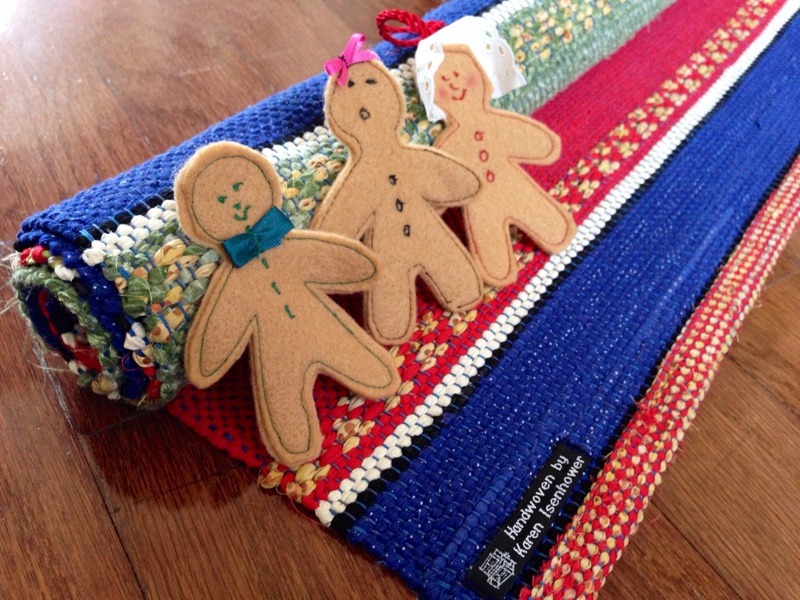 But there are other beautiful uses for rag-woven pieces, like placemats, mug rugs, cushion covers, or bench covers. I used mine to make bags, purses, and small pouches. They have held up really well. This is the season to give thought to the wonder of life, to be grateful for unconditional love, and to recount the story of Christmas. 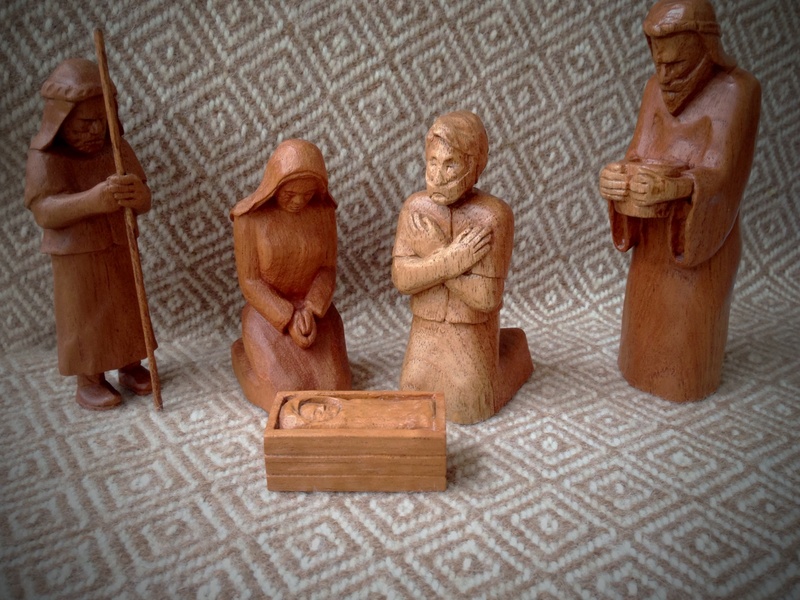 Four years ago Steve began carving wooden figures for a Nativity scene. Every year, each of the five women in his life (daughter and daughters-in-law, his mother, and me) receive a new figure. 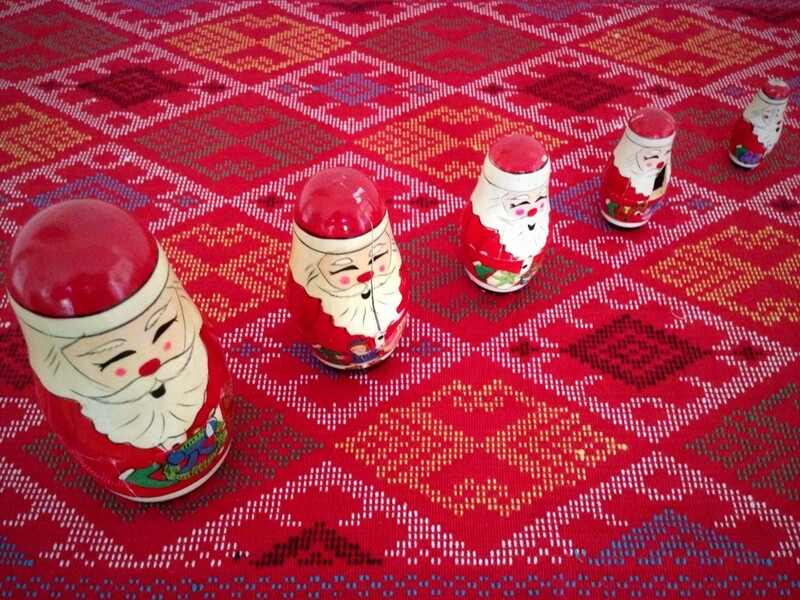 The new Nativity figure this year is a king bearing gifts for the infant king. Nativity carved from Spanish cedar, by Steve Isenhower. 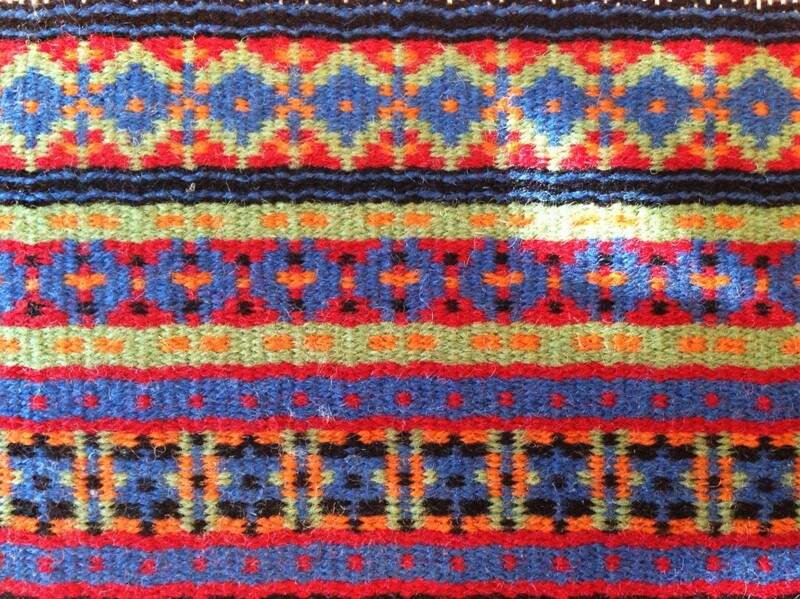 Seen on backdrop of handwoven alpaca throw, in goose-eye twill. May your days be filled with peace. How beautiful! What a special gift! A blessed and very merry Christmas to you, as well, Elizabeth! Those figures are so lovely. 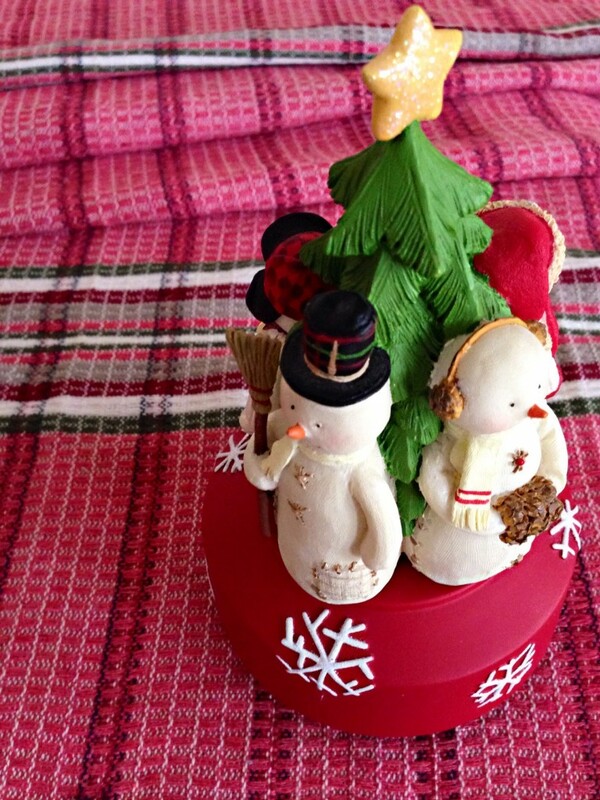 Wishing and your loved ones a wonderful Christmas holiday. A few moments ago, I stumbled upon your website via the Google search engine looking for weaving information. I’ll stay a while, bookmark and return. I’m new to weaving. I’m getting my toes wet with a rigid heddle loom, and plan to add a floor loom (looking at the Baby Wolf 8 Shaft) sometime next year. 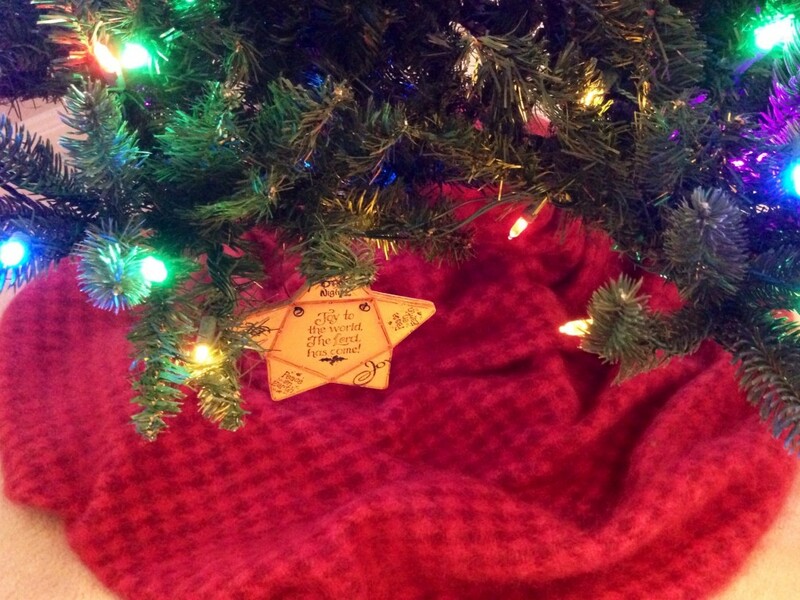 A wonderful Christmas to you and yours, Opal! I am so glad you stopped in. A rigid heddle loom is a great way to get your feet wet with weaving. I wove on my rigid heddle for nearly 30 years, never thinking I would some day have a “real loom.” But here I am with two floor looms now. Stay in touch. I’d love to hear how it’s going on your weaving journey. Whatever you do, choose good tools. Scissors are probably the most frequently used small tools in my weaving room and sewing space, so it makes sense to use quality scissors. I started with Gingher many years ago, and have never been disappointed in their performance, so there are several in my collection. Painted red leather sheath, found on one of my trips to the Philippines, protects this pair of five-inch Gingher Sewing Scissors. 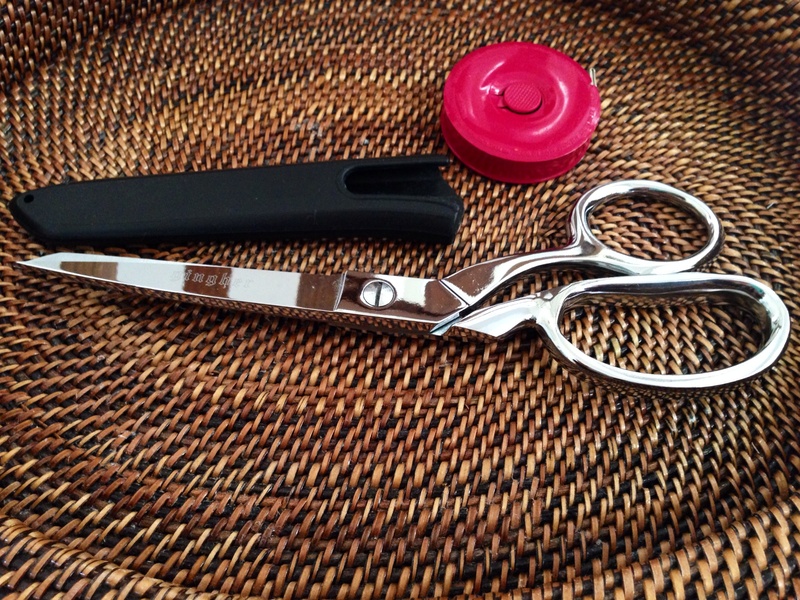 These scissors live in a holder on the table where I wind all my quills. 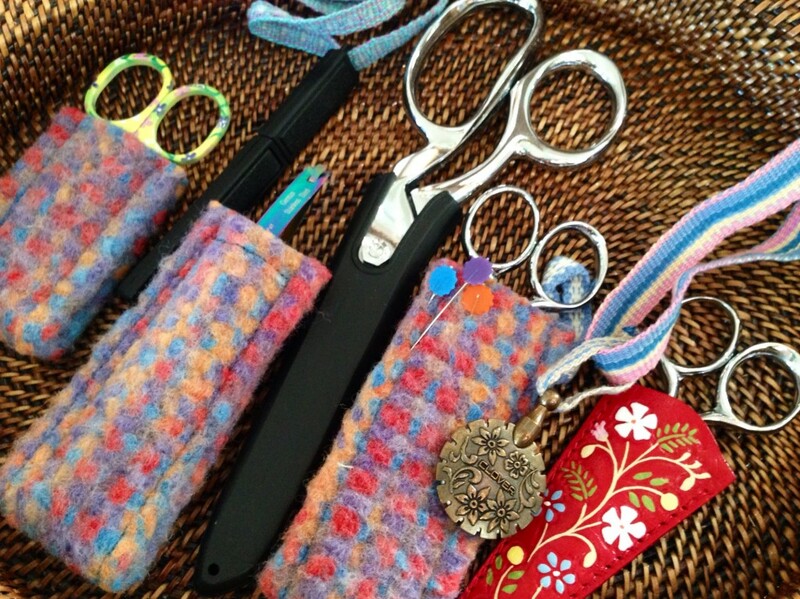 I have a variety of scissors, and each has their own special place to call home. A few sit in custom felt sheaths. To make the sheaths, I wove a variegated wool band on my inkle loom, which I then machine washed and dried vigorously to cause the wool to felt. I then cut and stitched each little sheath to size. 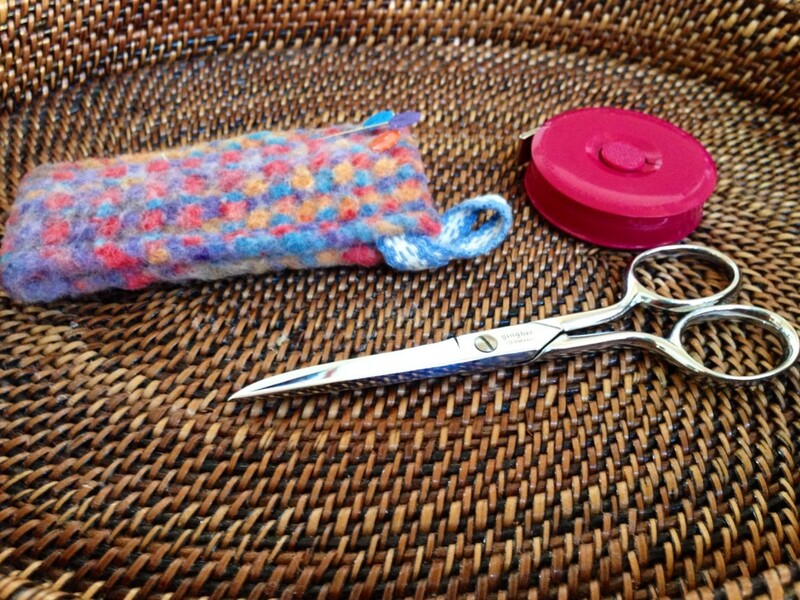 Five-inch Gingher Sewing Scissors that live in the loom bench basket by my Glimakra Standard. I clip threads as I go, so these must be in easy reach. 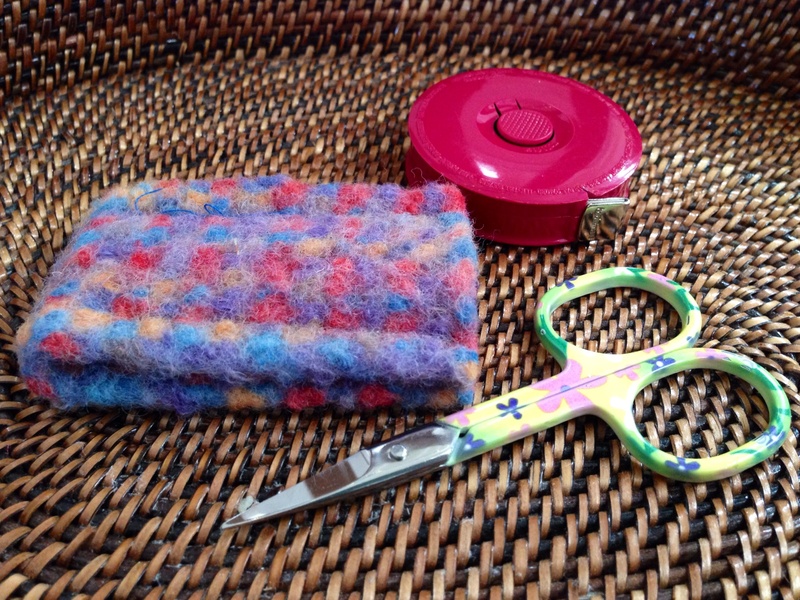 The felt sheath doubles as a pin cushion. And, as your mother always told you, never ever use the fabric scissors to cut paper. There are paper scissors for that. Eight-inch Gingher Dressmaker’s Shears for cutting fabric, and only fabric. Cutting the warp off the loom counts as cutting fabric. 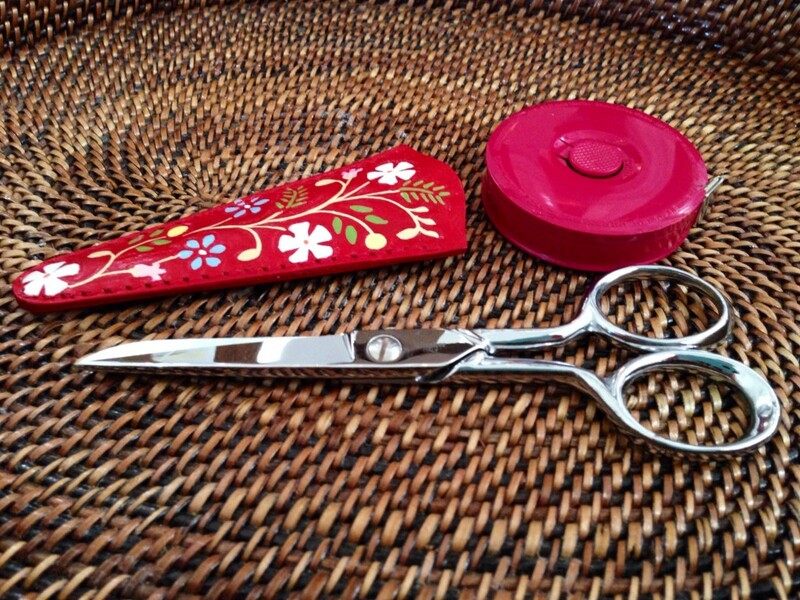 Pretty little scissors that live on my sewing/cutting table. 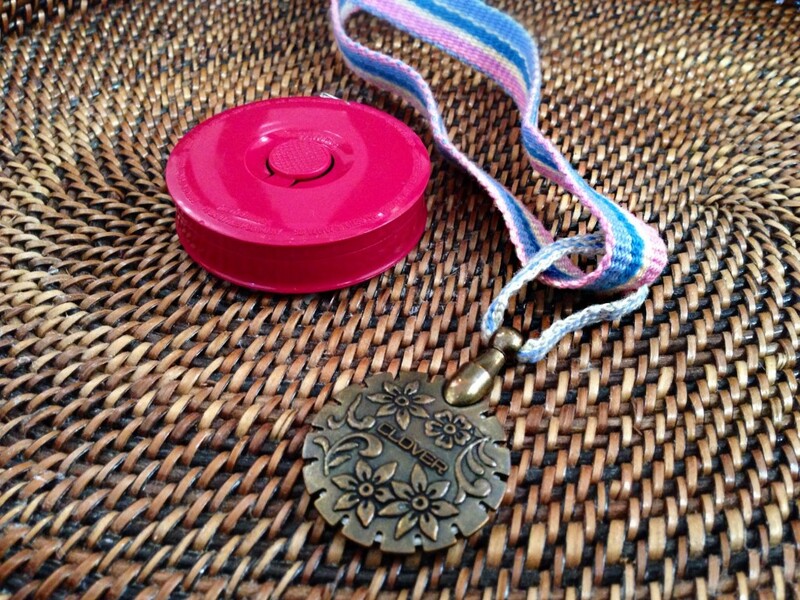 These are used for clipping sewing threads and for some finishing work. 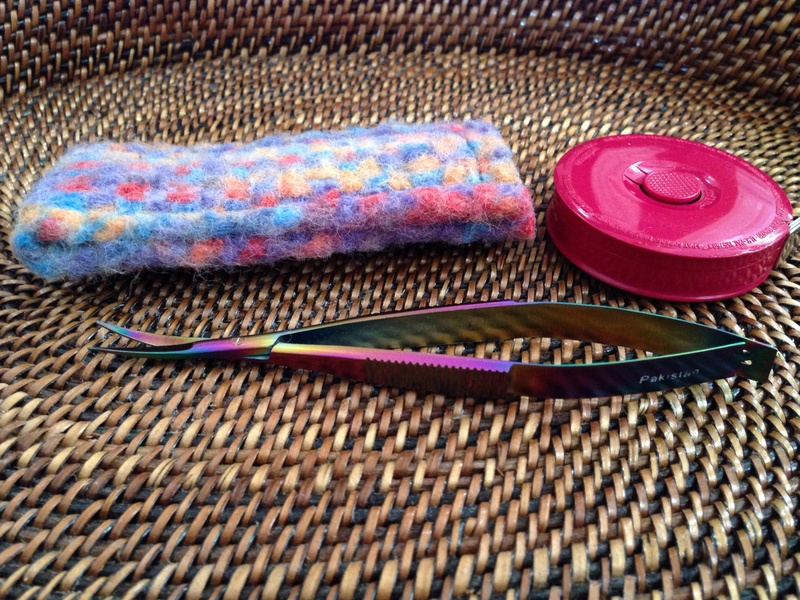 Famore 4.5″ Rainbow Colored Snips also live on my sewing/cutting table. 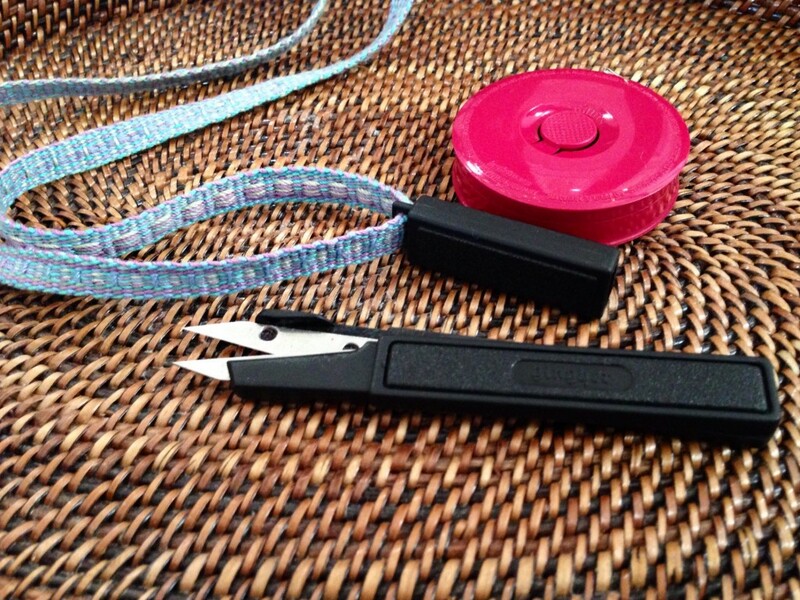 They come with me to the sewing machine for quick and easy snipping of threads. Travel thread cutter lives in the bag with my travel tapestry loom. The handwoven band, worn around my neck, keeps the Clover cutter at my fingertips. Gingher Thread Snip is the most recent addition to my cutting collection. It lives on my Glimakra Ideal loom, hanging on the corner of the front beam. While weaving, I wear the inkle-woven band around my neck, so the snips are always at hand. It must be bedtime for the scissors, snippers, and cutters! My mother, always surrounded by textiles in progress, was adamant about not using the “shears” for cutting anything but cloth! She is 85 now, sews less, but I wouldn’t dream of touching her good shears for anything but cloth…I make cloth, and love every thread. Your response makes me smile, Eileen! Good for your mother! Look at the value she passed down to you – your enjoyment of not only fashioning with cloth, but making cloth, as well.